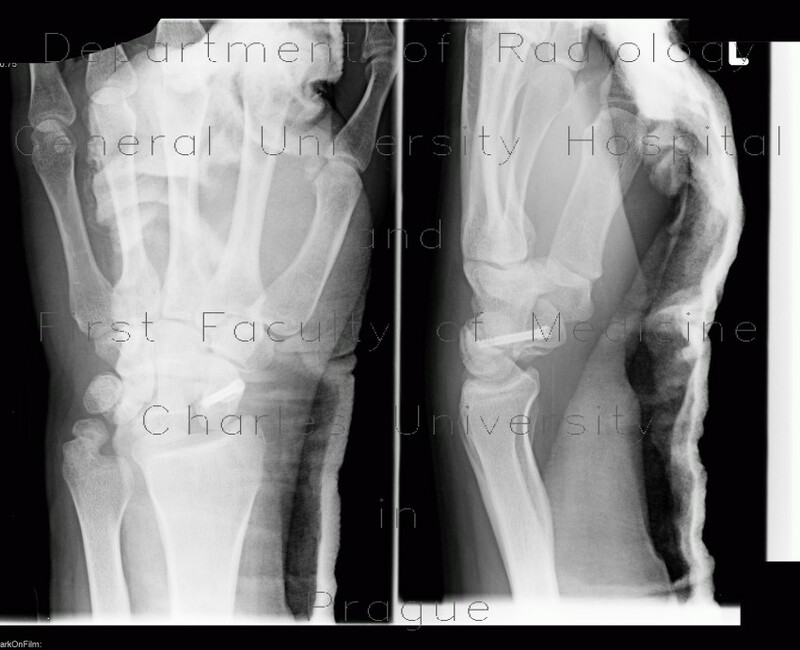 Fracture of scaphoid bone solved by osteosynthesis with one spongious screw. Subluxation of head of the capitate bone, which is shifted palmarly. The convexity of the lunate bone is shifted dorsally. This is a result of concomitant ligamentous injury.